Let’s Talk is an open invitation from Special School District (SSD) to tell us what’s on your mind. We know your time is valuable. Let’s Talk is an easy way to submit feedback at your convenience directly to the SSD staff member who can help. Select a topic below and then type a message to let us know what’s going well, offer suggestions, submit concerns or make general comments. When you click on a topic, the next page will give a general description of what that topic covers. You can always return to this page if you feel like you have chosen the wrong topic. Please be sure to include your contact information. 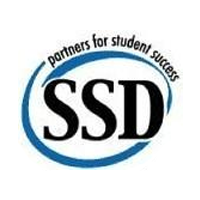 If you wish to maintain anonymity, you may use the “hide your contact information from the district” feature, which allows SSD staff members to respond to your message without knowing your identity. If your message is urgent or involves a safety issue, please contact 911 or the District administrative offices at (314) 989-8100. As we work to continuously improve the District’s communication with stakeholders, we look forward to starting a conversation with you.